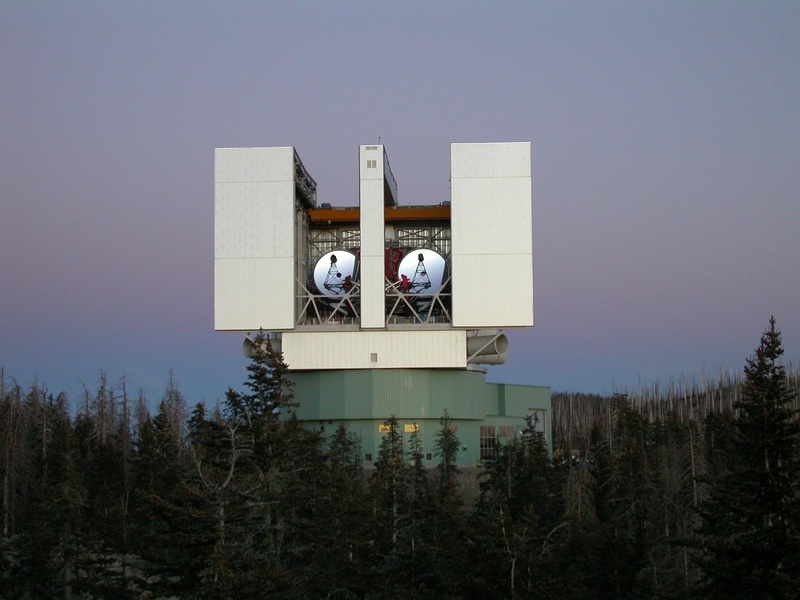 From AAS NOVA: “What Happened to Leo P’s Metals?” » U Arizona Large Binocular Telescope, Large Binocular Telescope Interferometer, or LBTI, is a ground-based instrument connecting two 8-meter class telescopes on Mount Graham, Arizona, USA, Altitude 3,221 m (10,568 ft.) to form the largest single-mount telescope in the world. The interferometer is designed to detect and study stars and planets outside our solar system. Image credit: NASA/JPL-Caltech.